David L. Hudson, Jr., an Associate Professor of Legal Practice, teaches Legal Information and Communication at Belmont. He is the author, co-author, or co-editor of more than 40 books. For much of his career, he has worked on First Amendment issues. 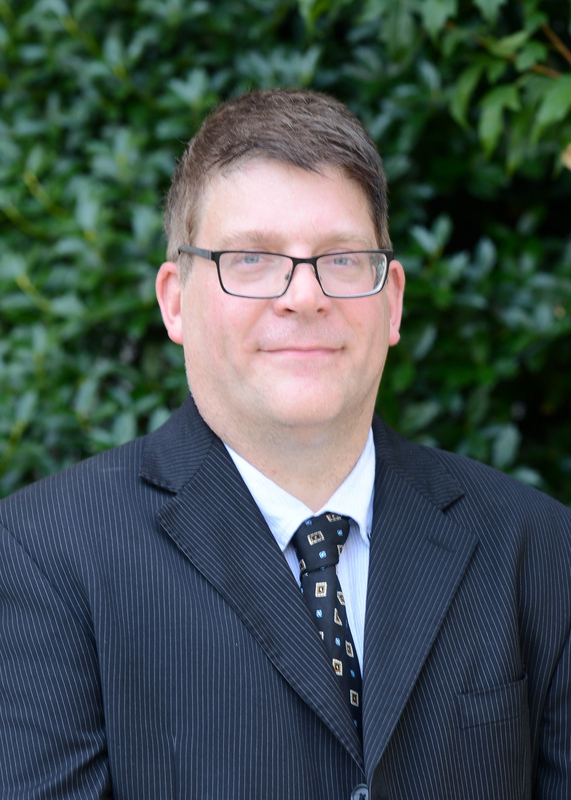 He serves as a Justice Robert H. Jackson Legal Fellow for the Foundation for Individual Rights in Education and a First Amendment Fellow for the Freedom Forum Institute. For 17 years, he was an attorney and scholar at the First Amendment Center in Nashville, Tennessee. Hudson has taught classes at Vanderbilt Law School and the Nashville School of Law. In June 2018, the Nashville School of Law awarded him its Distinguished Faculty Award. He earned his undergraduate degree from Duke University and his law degree from Vanderbilt Law School. Professor Hudson's published works have been cited and relied upon by other scholars and courts. Hudson also is a licensed boxing judge and has judged a dozen world title bouts. Equal Protection: Documents Decoded. ABC-CLIO, 2018. Freedom of Speech: Documents Decoded. ABC-CLIO, 2017. The First Amendment: Freedom of Speech. Thomson Reuters, 2012. Encyclopedia of the Fourth Amendment (two-volume set). SAGE, 2013. (co-editor with Dr. John Vile). Let the Students Speak! : A History of the Fight for Freedom of Expression in American Schools. Beacon Press, 2011. The Handy Law Answer Book. Visible Ink Press, 2011. Encyclopedia of the First Amendment (two-volume set). CQ Press, 2009. (co-editor with Dr. John Vile and David Schultz). The Handy Supreme Court Answer Book. Visible Ink Press, 2008. The Rehnquist Court: Understanding Its Impact and Legacy. Praeger, 2006. The First Amendment in Schools: A Guide from the First Amendment Center. ASCD, 2003. (co-author with four others). The Silencing of Student Voices: Preserving Free Speech in America’s Schools. Newseum, 2003. Debater, U.S. Intelligence Squared, “Trigger Warning: Safe Spaces Are Dangerous,” June 2018. Testimony before U.S. House Subcommittee, “First Amendment Protections on Public College and University Campuses,” April 2017. ”Lawyers and Cognitive Decline: Diminished capacity may bring ethics problems for sufferers,” ABA Journal, Sept. 2018. “When Do Rants Exceed First Amendment Boundaries,” ABA Journal, August 2018. “Ida B. Wells: Fearless Journalist from Memphis Who Changed the World,” Tennessee Bar Journal, August 2018. “Can Anti-Profanity Laws and the Fighting Words Doctrine Be Squared with the First Amendment,” ABA Journal, April 2017. “Stifling Speech: Government invokes doctrine to silence speech it doesn’t like,” ABA Journal, Sept. 2017. “No Free Speech for You,” Slate, Aug. 4, 2017. “Public Employees, Private Speech: 1st Amendment doesn’t always protect government workers,” ABA Journal, May 2017. “How Tennessee discriminated against a talented Vanderbilt law grad,” The Tennessean, May 4, 2017. “Is Cyberbullying Free Speech,” ABA Journal, November 2016. “Explainer: how campus policies limit free speech,” The Conversation, July 31, 2016. “These lawyers battle in the boxing ring as well as the courtroom,” ABA Journal, October 2015.